Donald Trump demonstrates once again that his administration does not have much love (care or concern) for our ocean and the many coastal communities and economies that depend on what is one of our nation’s greatest natural resources. 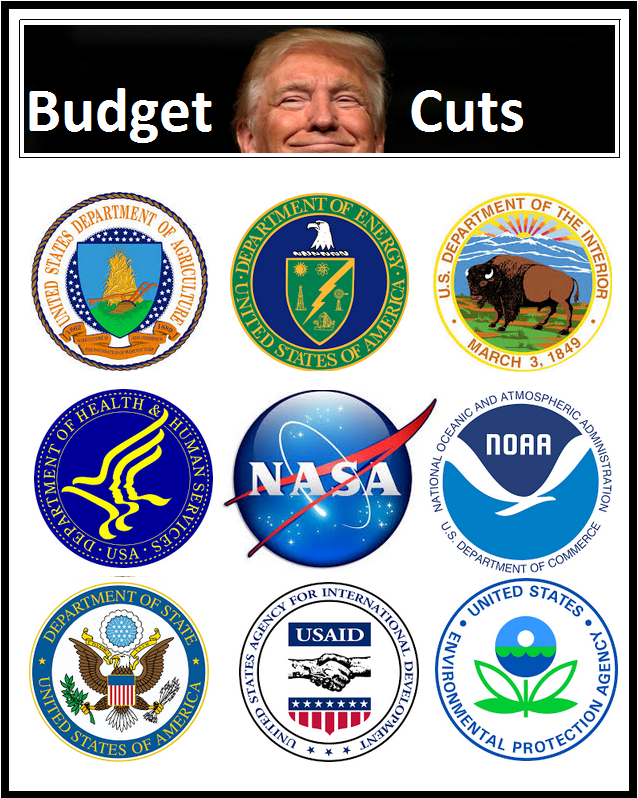 The budget proposal released by the Trump administration proposes cutting the budget for the National Oceanic and Atmospheric Administration (NOAA) by more than a billion dollars. It ignores how deeply we all rely on this agency to help our coastal communities and our ocean thriving. THREAT 1: Wipe out programs that fund innovation in coastal economies. This successful program is a vital resource for many business and industry innovators like the thriving sponge business in Florida. And there are dozens more stories like that from around the country. Eliminating this budget would completely axe the Coastal Management Grants, which empowers coastal states to ensure communities are safe from ocean and weather hazards and coastal economies are thriving. This is a one-two punch in the gut for coastal economies, many of whom rely on NOAA as a trusted partner. THREAT 2: Undercut preparedness and resilience. This budget abandons coastal states that are trying to prepare for a changing ocean and increased coastal risks to people and wildlife. If President Trump’s proposal goes through, it will impact hard-working marine mammal first responders that rescue dolphins and manatees. It will cut back potentially lifesaving tsunami warnings that alert all our coastal communities. It will impact the ability of coastal regions to seek and determine the best solutions to make them resilient in the face of a rapidly changing climate. THREAT 3: Handicap our ability to take action based on solid ocean science. Budgets are important because they set priorities. In this proposal, the Trump administration is clear that science is not a priority. If the cuts go through, we will see serious gaps in our knowledge and understanding of a natural resource that literally shapes our planet. NOAA would have fewer resources to explore parts of our ocean that humans know nothing about. The basic science of ocean observations that measure things like tides and temperatures would face cuts. And we could also lose essential research that is helping shellfish companies prepare for ocean acidification, place-based research from the Arctic to the Great Lakes, and critical climate enquiries that will allow us to thrive today as well as a generation from now. THREAT 4: Hamper America’s journey to sustainable fisheries. The Trump budget proposes cuts to fishery enforcement. That means more lawbreakers could get away with illegal fishing with little or no consequences. With a decrease in funding, we will lose our ability to track whether we are making the best management decisions, including through stock assessments, to get to sustainable fisheries. And to make matters worse, the president’s infrastructure plan accompanying the budget proposal weakens environmental reviews, including those for fishery habitats. If the infrastructure proposal were implemented, arbitrary timelines would hamper fisheries experts from recommending solutions that would allow infrastructure development to proceed with less risk to the important areas where fish spawn, feed, and live. Thankfully, there is some good news. This budget is a proposal, which means it is not written in stone. You and I have the opportunity and responsibility to let Congress know what matter to us. Congress will ultimately write the 2019 budget for NOAA, and they are just getting started. Please join us in voicing your concerns about the Trump administration budget proposal for NOAA. Tell your elected representatives that our coastal communities and our ocean is too important to risk.